When Cohesity came into the scene, they were branded the latest unicorn alongside Rubrik. 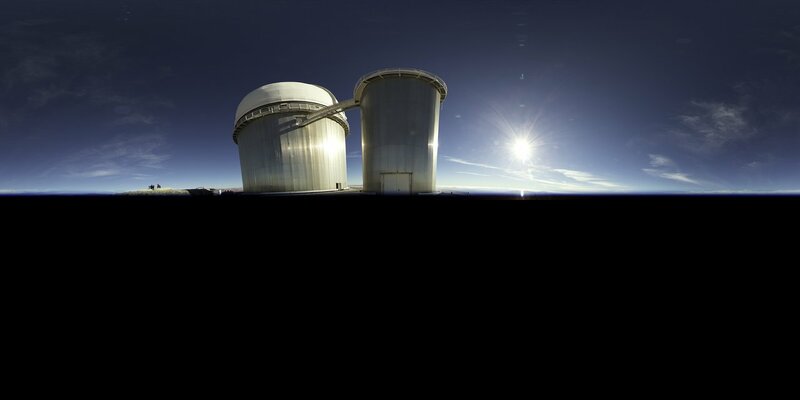 Both were gunning for the top hyperconverged platform for secondary data. Crazy money was pouring into that segment – Cohesity got USD250 million in June 2018; Rubrik received USD261 million in Jan 2019 – making the market for hyperconverged platforms for secondary data red-hot. As Cohesity evolved, the Cohesity Data Platform alongside the SpanFS technology quickly became the universal data services and data management platform for secondary data. I was impressed when I knew of Cohesity for the first time at Storage Field Day 15 just about a year ago. I wrote about their SpanFS, taking a foundational shift in the way data should be managed. My fellow blogger, Dan Frith, was introduced to Cohesity even earlier, as they continued to evolve into what we see today. And all along, I was thinking that Cohesity was going to the the universal data services platform for secondary data, much like Actifio and Delphix. I was wrong. I have written about Dark Data before. In my 2015 blog, I wrote about several applications which shone light into dark data, revealing greater insights about files, data and more. However, what I wrote back then were some niche applications addressing a single data repository. The term “data lake” was probably unheard of yet. The file system assessment applications such as Interica SmartMove, or Veritas Data Insight were just peripheral applications to the management of data in organizations, and only addressing data containers and file structures only. Fast forward 3+ years, the volume of data has definitely grown (and has grown a lot! 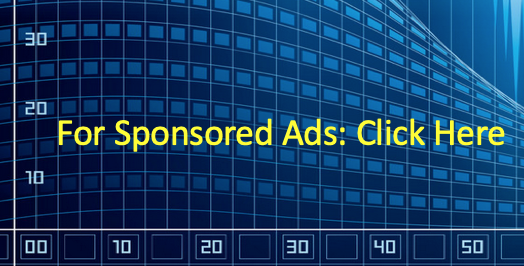 ), with data lakes becoming data swamps. Poor data management and governance have made the data fragmented, siloed, abandoned, devalued and useless but filling up the storage infrastructure to the seams. 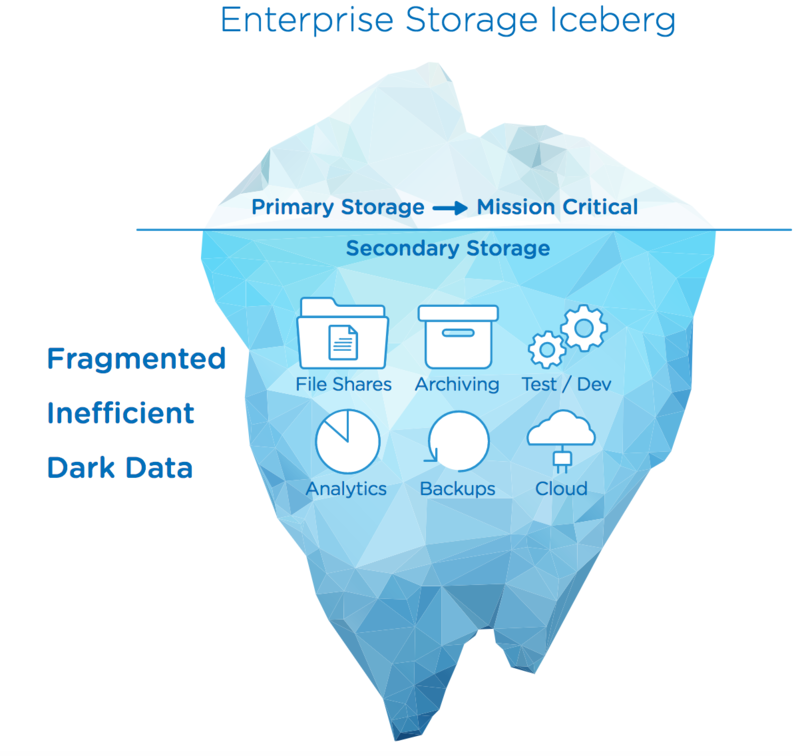 The Cohesity Enterprise Storage Iceberg is a good depiction of what is happening now in many organizations, and it is about to get worse. 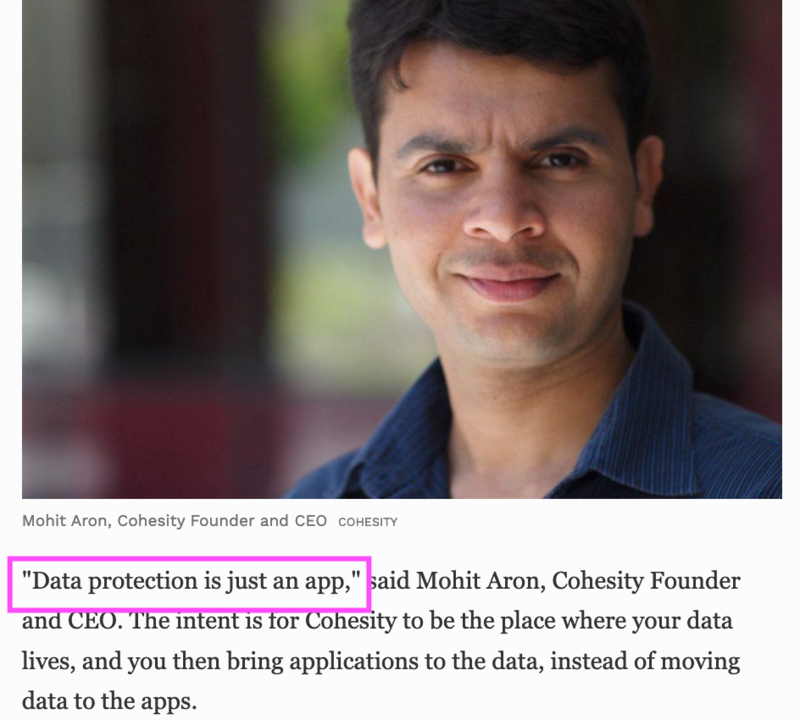 It became very clear when Mohit Aron said: “Data Protection is just an app”. Use the best application from the App Marketplace to extract, extend and shine the best value on the business data set. The Cohesity App Marketplace is nascent, announced just a day or 2 before Storage Field Day 18. The early apps are Splunk, SentinelOne, Imanis Data, ClamAV and Cohesity’s own Spotlight, Insight and EasyScript. 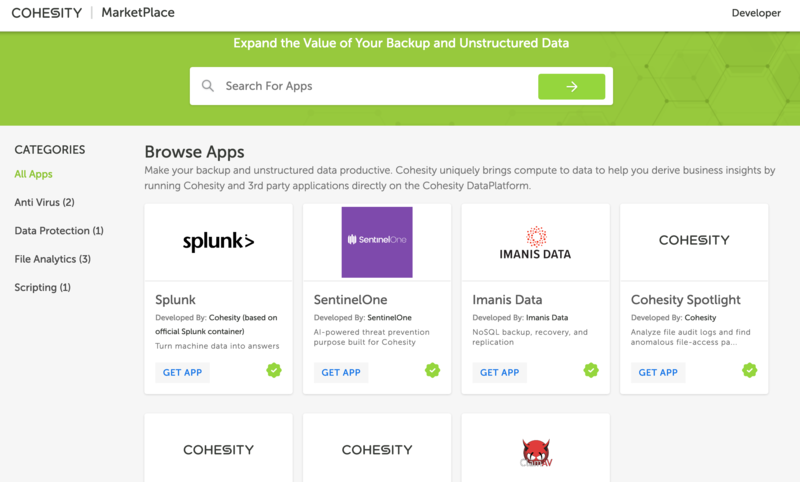 But this list of apps will grow, and bringing more and more functionalities and value to the data in the Cohesity Data Platform. As data extends to the edge, into the furthest reach of the organization’s business, I expect that the data fragmentation issue openly brought forward by Cohesity will be acutely exacerbated. The data fragmentation issue can be arrested with a well-defined technology like Cohesity, and turned into a treasure trove of tremendous value for the data. The vision is not about Cohesity. The vision is about Cohesity bringing the best possible value of the data to the business, and that to me is smart. Very smart. Tagged Actifio, App Marketplace, Dark Data, data fragmentation, data protection, Delphix, Imanis Data, SentinelOne, SpanFS, Splunk. Bookmark the permalink.